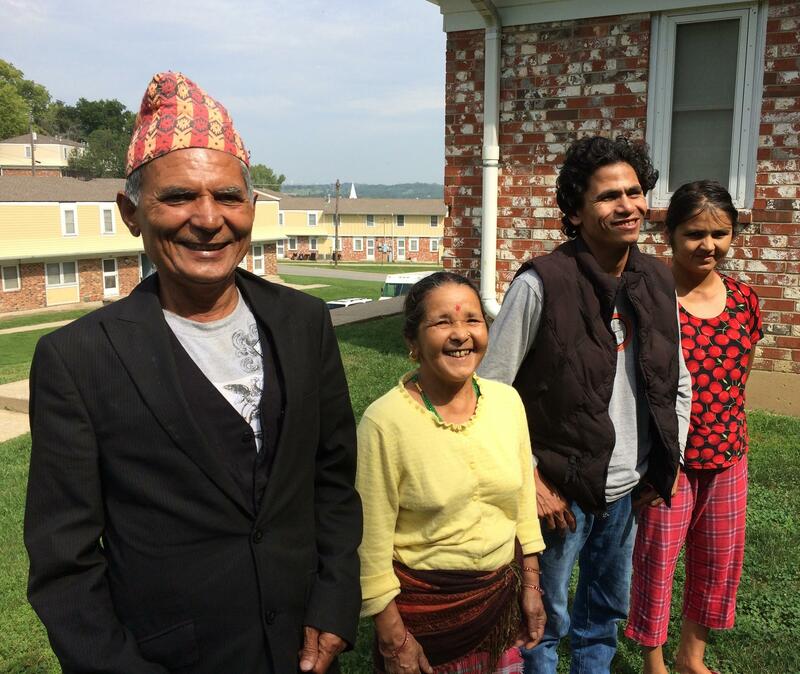 Palak and Durga Khadka with their son-in-law, Birkha, and daughter, Ganga (left to right) next to their home in Chalet Manor in Kansas City, Kan.
Budhi Kami with her son, Unish Biswa. Acculturating was a challenge for Jenga Chhetri (left) and his mother, Ratna Chhetri. 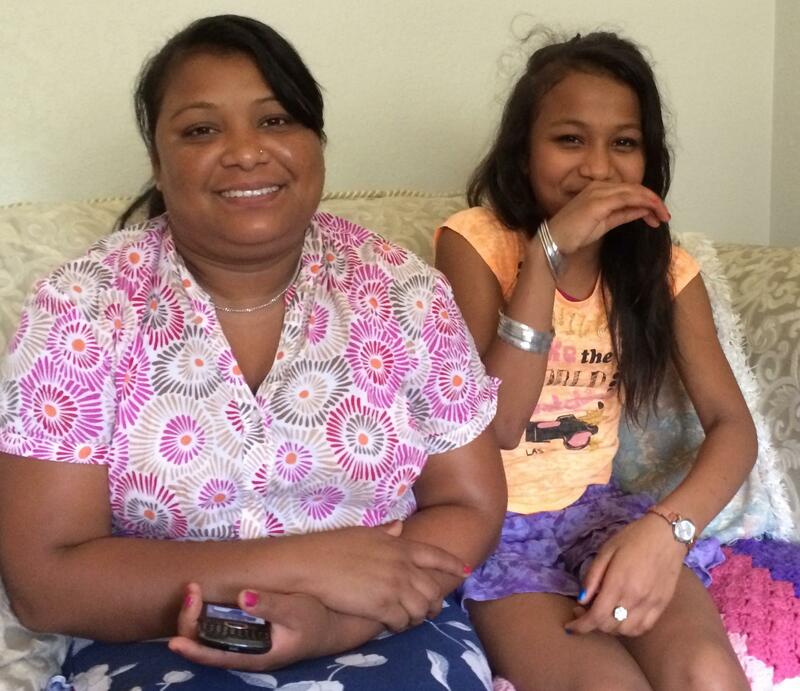 Gita Kami (left) and daughter Nisha Darjee at their home in Chalet Manor. Making the rounds at a public housing complex in Kansas City, Kan., community health worker Rinzin Wangmo is greeted by cheery voices and faces. As she enters a home, the heavy aroma of chopped onions stings her nose, and she hurries up a short flight of stairs to escape the burn. After gently knocking on a door, she walks in to meet with a woman who’s bedridden with pain. The woman’s condition is not unusual among Bhutanese refugees, according to University of Kansas professor Dr. Joe LeMaster. “They went through quite a lot, and that has had its mark on them, there is no question about that,” LeMaster says. The community health specialist, who worked for a decade in the Himalayas, has been working for the past several years to address the unique challenges of Bhutanese refugees, and in particular their striking rates of mental illness. For hundreds of years, Nepali people lived and worked in southern Bhutan, a country that earned notoriety in the 1970s when its king introduced the “national happiness index” as an alternative to the more traditional measure of prosperity, the gross domestic product. But in the early 1990s, a government campaign of harassment and what Human Rights Watch has described as ethnic cleansing led tens of thousands of Nepalis to flee to refugee camps in Nepal. In 2006, the United States offered to resettle some of the refugees. Since then, more than 75,000 have arrived in cities like Philadelphia, Denver and Kansas City. 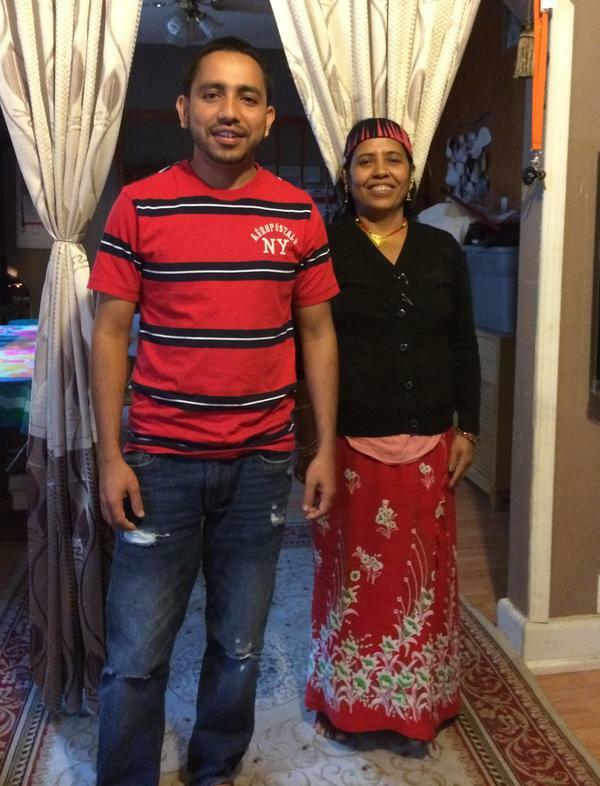 Jenga Chhetri was 23 when he convinced his family to resettle in the United States nearly three years ago. But not long after they arrived, his parents told him they shouldn’t have come. “At the time, my parents – they blamed me. Like, ‘You did a great mistake to bring us over here.’” Chhetri says. Many Bhutanese refugees have had trouble adapting to life in the Unitest States. As the organizer of a Bhutanese health outreach program, LeMaster says he’s witnessed great suffering among his patients. 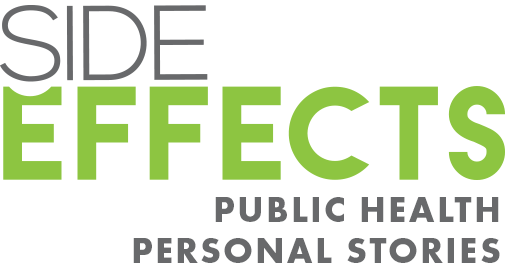 A report released earlier this year by the Centers for Disease Control and Prevention highlights the acute problems of suicide, anxiety and depression among Bhutanese refugees in the U.S, although the causes remain unclear. The CDC says the problems may be related to social isolation, substance abuse or even trauma from torture the refugees endured in Bhutan. But when LeMaster and his team tried to address the refugees’ mental health problems, they found that the cultural stigma associated with just the suggestion of mental illness made their work nearly impossible. “They were telling us what we feel is not stress so much; ‘we feel pain,’” LeMaster says. Testing showed no underlying medical reasons for the refugees’ chronic pain and standard treatments, including physical therapy, pain killers and psychiatric drugs, didn’t help. LeMaster believed the pain was related to stress and decided to explore alternative treatment methods. He tried art therapy, dance therapy, tai chi and even a petting zoo. The refugees had some success visualizing cows before LeMaster hit on a treatment that produced the best outcomes. Yoga therapist Claudia Cardin-Kleffner specializes in working with people with chronic health conditions. But she’d never seen a class like the one LeMaster brought to her – one made up of middle-aged and older Bhutanese women refugees. “I could not even begin to understand these people because they couldn’t breathe,” Cardin-Kleffner says. The women were stiff and withdrawn, the yoga teacher says. Many would not make eye contact. Yoga has a long history in the Himalayas, and Nepal in particular, but while most of the refugees were Hindus who had some understanding of the ancient practice, they had little actual experience with it. “Even getting them to move their arms – it was like, ‘Why should we do this and then how do we do this?’ – was really difficult,” Cardin-Kleffner says. Among the class members was Jenga Chhetri’s mother, Ratna. LeMaster says that earlier in his career, he would have been hesitant to prescribe yoga and was surprised by the program’s success. The women’s levels of pain on a standard pain index dropped dramatically. Participants also showed major improvements on standard measures of anxiety, depression and acculturation. Studies have shown that yoga helps the brain, heart and nervous system. But why did it work in this case when physical therapy and medication failed? That’s something LeMaster is still trying to understand. But the answer may have to do with nothing more mysterious than cultural familiarity. “What we did notice is that, as we went into it, the concepts resonated with what their basic Hindu worldview was, so there was nothing in it that jarred them,” LeMaster says. Whether it was the yoga or mere coincidence, there hasn't been a suicide among the Kansas City refugees since LeMaster instituted the program. Now he's exploring how yoga and other culturally-specific practices can be used to help additional immigrant groups. Copyright 2016 KCUR-FM. To see more, visit KCUR-FM.